Wondering what that funky-looking, colored tape is that so many athletes are wearing these days? It’s called kinesiology tape, and it has become an overnight sensation among injured athletes, people with chronic inflammatory conditions, accident victims and individuals recovering from surgery. 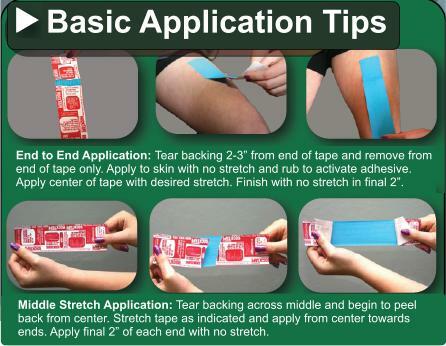 The surprising ability of this lightweight, thin, stretchy therapeutic tape to quickly relieve pain and reduce inflammation makes it effective for a wide range of conditions. 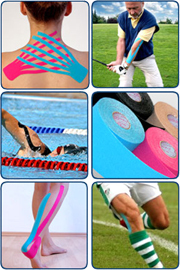 Although best known as an athletic tape or sports tape, its uses extend well beyond the realm of athletics. 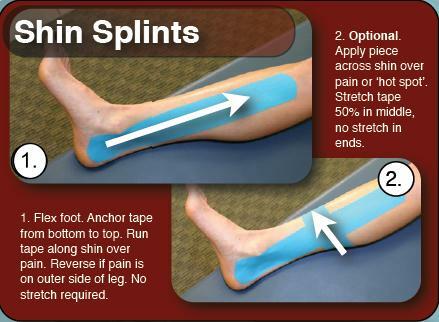 Following is a partial list of conditions known to respond favorably to kinesiology taping. 1. 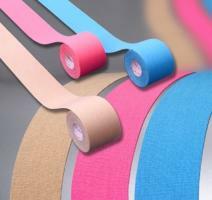 Kinesiology tape can be bought in rolls or pre-cut applications for specific body parts. 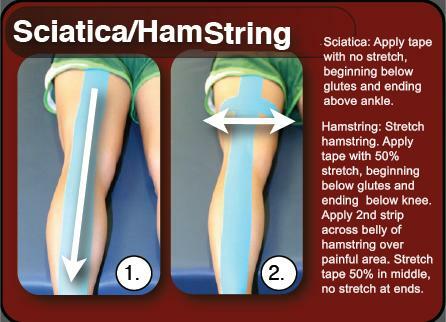 Home users with no kinesiology taping training should begin with precut kinesiology tape. 2. 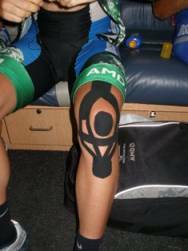 When properly applied, one application of kinesiology tape can be worn for up to 5 days. It will remain firmly in place through showering, swimming and even heavy sweating. 3. The therapeutic benefits of kinesiology tape continue around the clock for the entire time it’s worn. Thus, a single kinesiology taping application can be compared to receiving continuous therapy 24/7 for up to 5 days. 4. Kinesiology tape is made from high grade cotton with a hypo-allergenic acrylic adhesive. It contains no latex and no medication. Very few people experience skin reactions to kinesiology tape. 5. Kinesiology taping is safe and effective for people of all ages, from infants to the elderly.